When neglected, hedgerows can easily go out of hand and lose their comely shape. This is where our company might come in handy as we provide expert hedge trimming throughout Maida Vale W9 and the vicinity. Our services live up to the highest standards and stand out with time-efficiency, cost-effectiveness and flexibility. Don’t attempt trying to trim your hedges on your own, especially when you lack the necessary skills and tools – leave this job to our experienced and trained gardeners and we guarantee you will see far more impressive results. 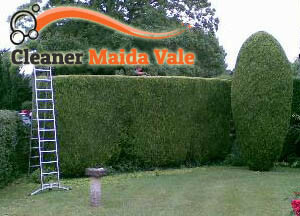 If you want to enjoy spending quality time in your garden once again, consider giving our hedge trimming services in Maida Vale a go. We are professional, expedient, and experienced enough to handle hedges of all shapes and sizes. 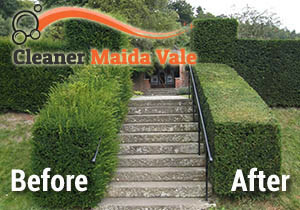 When people in Maida Vale need high-end hedge trimming service, they tend to turn to us. Our success results from years of satisfying our customers and living up to their highest expectations. Our commitment is unparalleled as becomes evident by the strong work ethic and courteous behaviour of our friendly gardeners. Our team will arrive at your property on time to evaluate what the individual requirements of your hedges are. In the process, the gardeners will exchange suggestions with you, offer professional advice and explain what needs to be done. The high-end equipment they use, enables them to trim hedges of different height and type in a time-efficient manner. As hedges require a good amount of regularity and persistence in their maintenance, the team can return for regularly scheduled visits upon request. Once done with their job, the gardeners will dispose of all organic waste or leave it in your compost if you so wish. When customers demand it, topiary and old hedge removal are also included in the service. If you are interested in booking our effective and budget-friendly hedge trimming service in W9 London, please fill in the contact form or call on the phone. Our assistants are always on standby and are awaiting you!